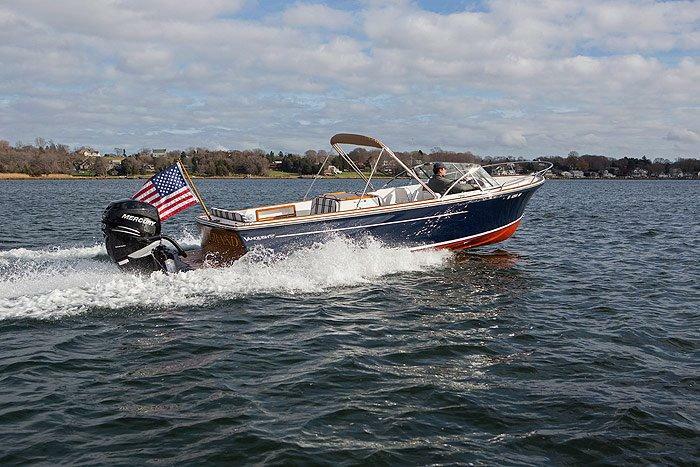 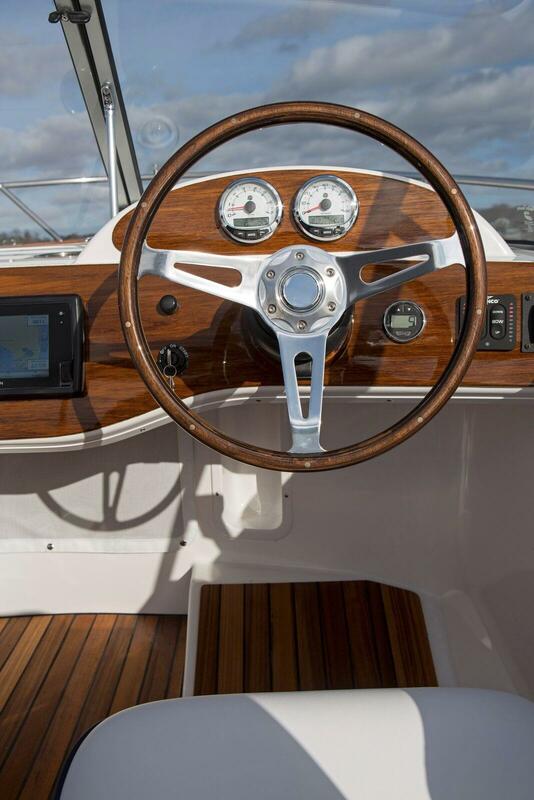 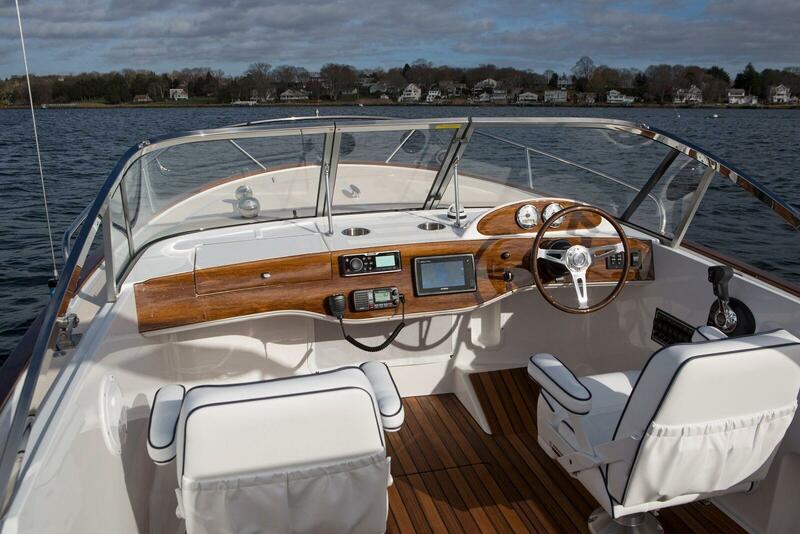 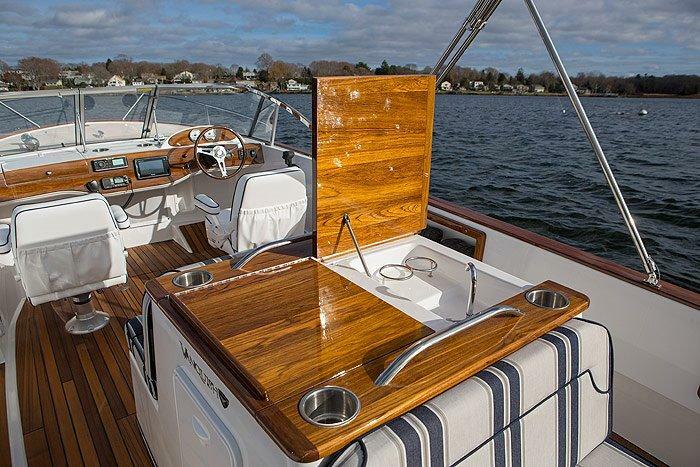 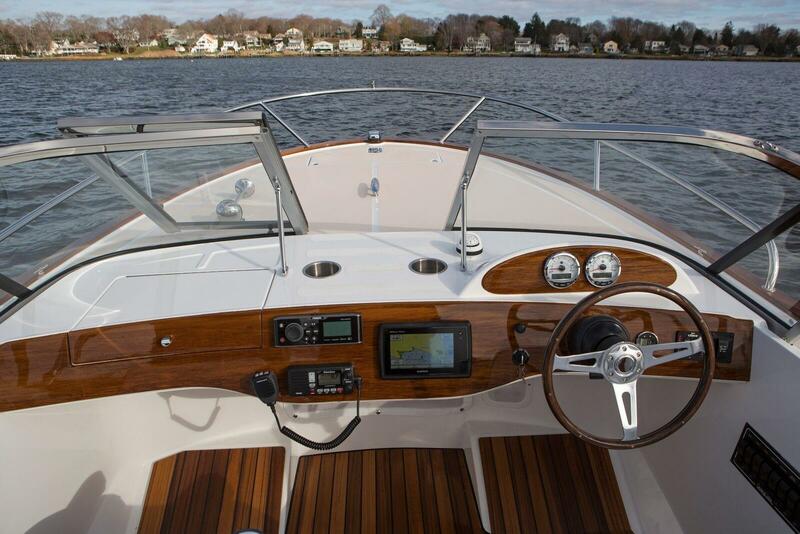 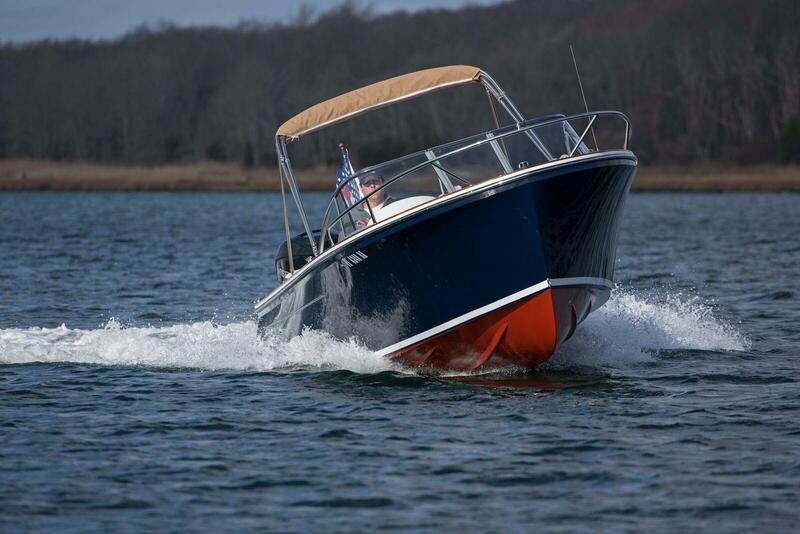 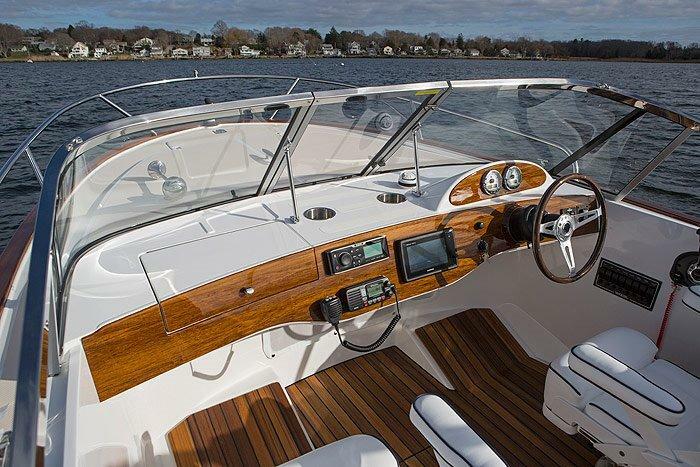 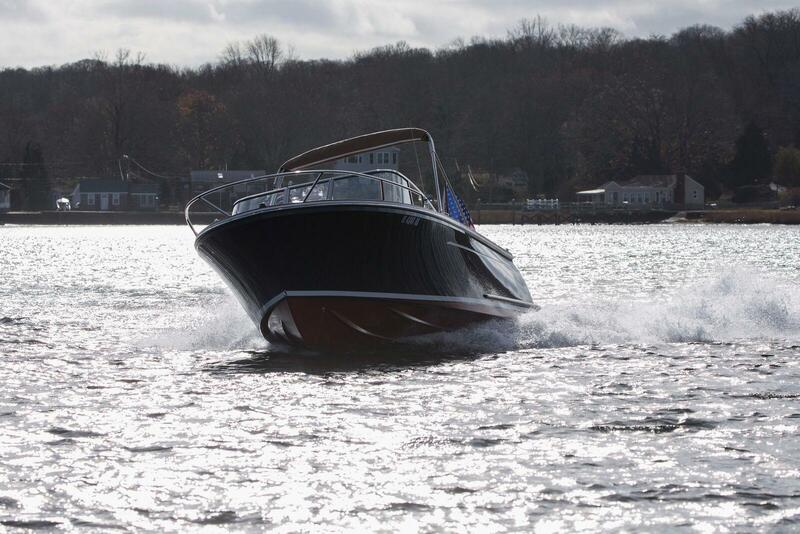 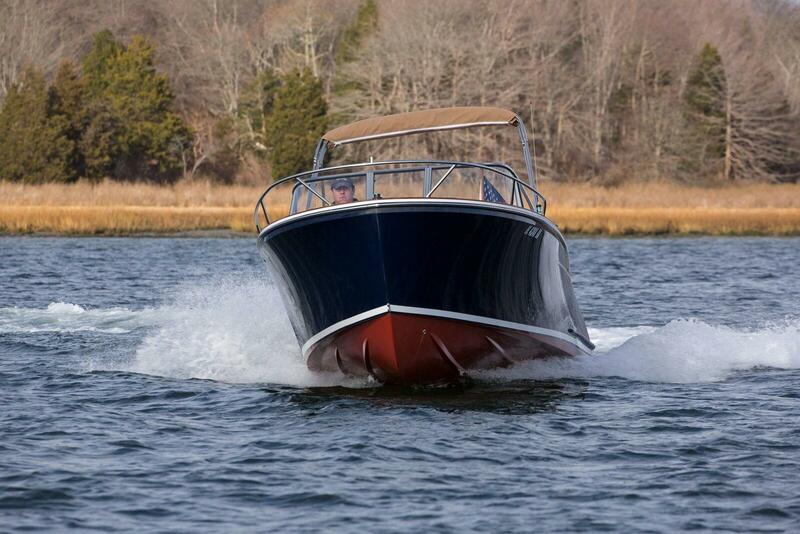 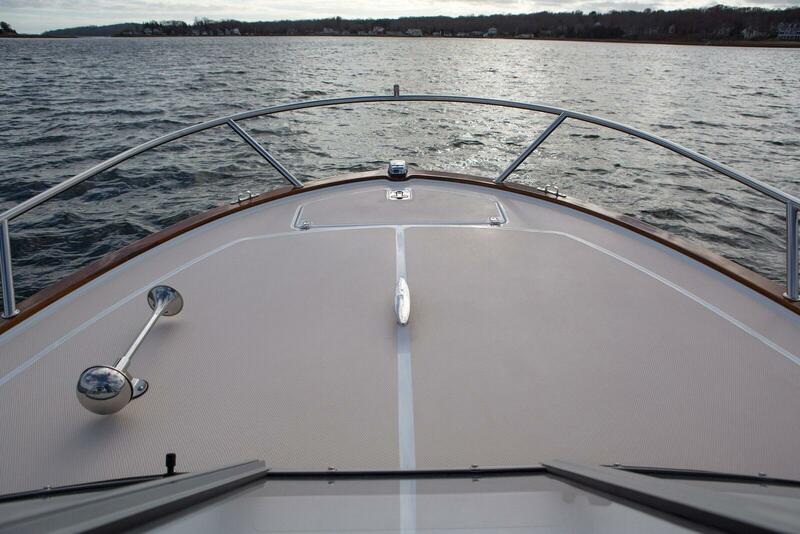 If our flagship 24 Runabout does not have enough features for you than consider the new 26 Runabout. 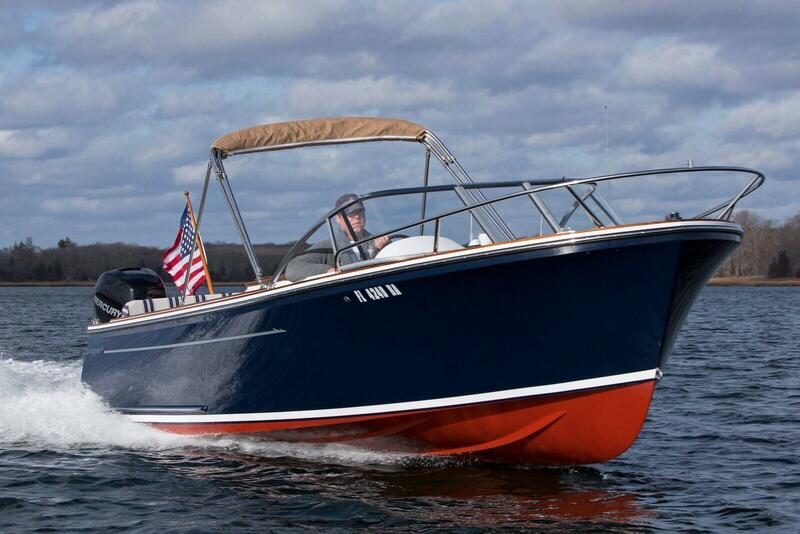 The 26 RA has all the same class styling, now with outboard power. 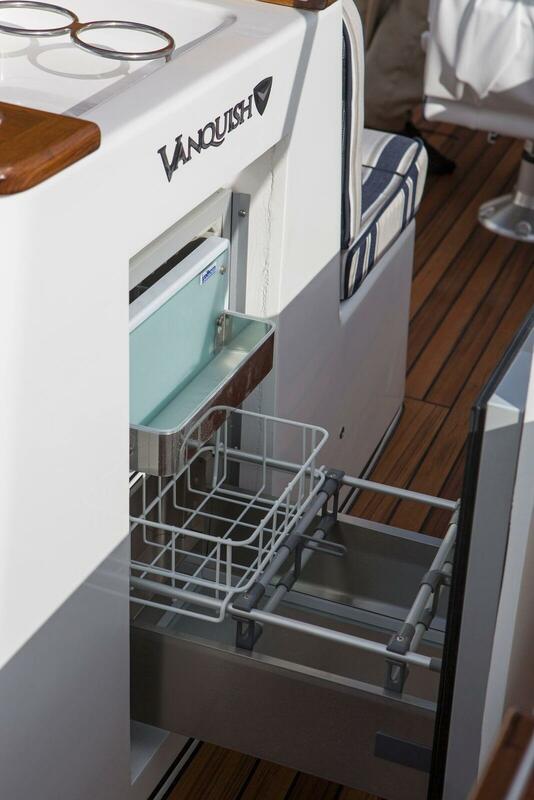 The centerline entertainment center features a flip out trash can, wet bar and space for the optional DC refrigerator and 120V electric grill. 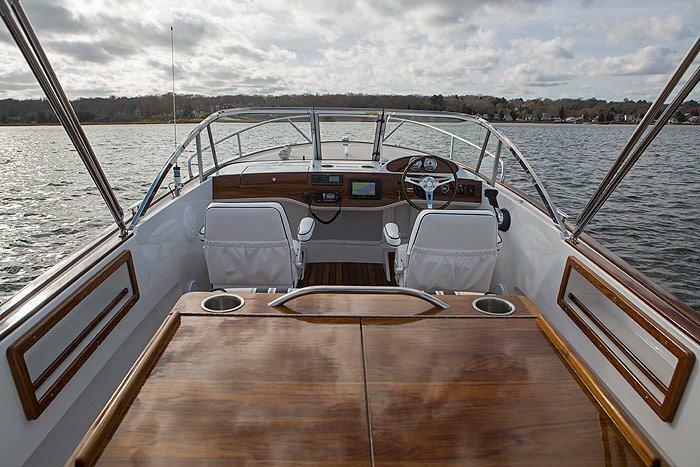 Standard seating for 8 and optional seating for 11 means that no one is left behind when a day of fun on the water is calling. 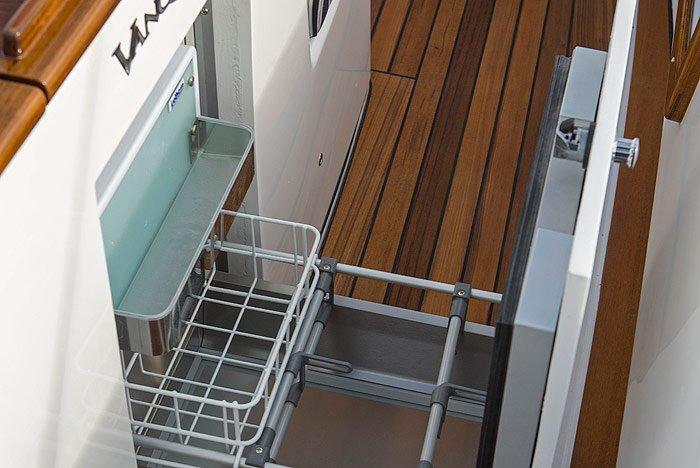 The walk-though windshield makes everyone look like a pro when anchoring or handling lines while the interior hides over 100 cubic feet of storage space including two custom built-in storage spaces under the seat coolers.